You will no doubt have some questions on Will Disputes and Inheritance related issues. 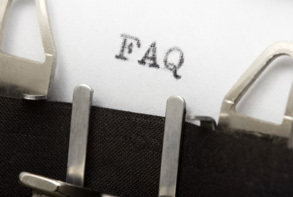 Here are the most commonly asked questions. Contact us if you have any further questions. What is the effect of a “no contest” clause? Sometimes people insert a clause in their Will that attempts to penalise anyone who claims an Inheritance or Increased Inheritance, or who contests or challenges the Will in any way. The “penalty” usually works by “disinheriting” the person who disputes the Will. These sorts of clauses may not be enforced by the court and so you should not be put off making such a claim just because this type of clause is found in the Will. How much can I be paid from the estate? the provisions the Will-maker put in the Will. We can meet with you to discuss your situation and give you a preliminary indication of the chances of success. The first half hour meeting is free, and if you do not proceed after that, the meeting is free. What are the steps in making a Will Dispute? After our Initial Review, and after you have asked us to act as your lawyer, we will make a Formal Assessment of your case. If we cannot help you, you will not be charged a fee. If we can help you, we will negotiate with the Estate or its lawyers. If you have a good case, and the Estate will not make a satisfactory offer, we usually commence legal action promptly so as to protect your claim and to save time. A claim must be made within a specific time frame and there are different time limits in each Claim State. Check with CWPL to clarify which Claim State is applicable, whether you are eligible, and what time limits apply. Do not delay, as you could lose your rights entirely. We then prepare all the documentary material we need to establish your entitlement and, within about 6 to 12 months, a “Mediation” is usually held. This is where the parties can meet with their lawyers to try to settle the case. In practice, many cases settle at the Mediation stage and so most cases do not go on to a court hearing. If you are successful you will receive any settlement monies after the mediation. If the claim is not settled at the Mediation, then the case is listed for a court hearing and some time later your claim will be heard by the court, and a decision made. However, many such cases seem to settle by agreement before the court hearing, as a result of further negotiations. You only need to go to court if your inheritance claim is not settled at any Mediation, and you should allow about 6 months from the mediation day. As we have said, most cases seem to settle without a court hearing. At a Mediation, must I stand up and speak? No, because you would be represented by CWPL and we do all the speaking on your behalf. You will not need to speak to the other side. Usually all of the discussion is between the lawyers, so you will not need to speak to the executor or to any of the beneficiaries. I have not seen my mother in many years. Can I make a claim? This will not bar you from making a claim, as long as you can establish that your mother had an obligation to provide for you. Click to Make a Claim, or call CWPL to discuss your claim. We would be pleased to help you establish whether or not you have a claim, without any obligation.